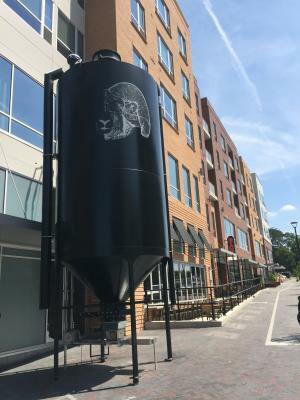 RAM brews all of their beers on their premises. There’s something special and authentic about enjoying a beverage that was brewed 50 feet from you. 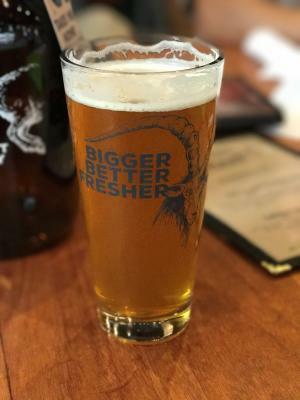 RAM brews one of a kind beers that are approachable, but unique. 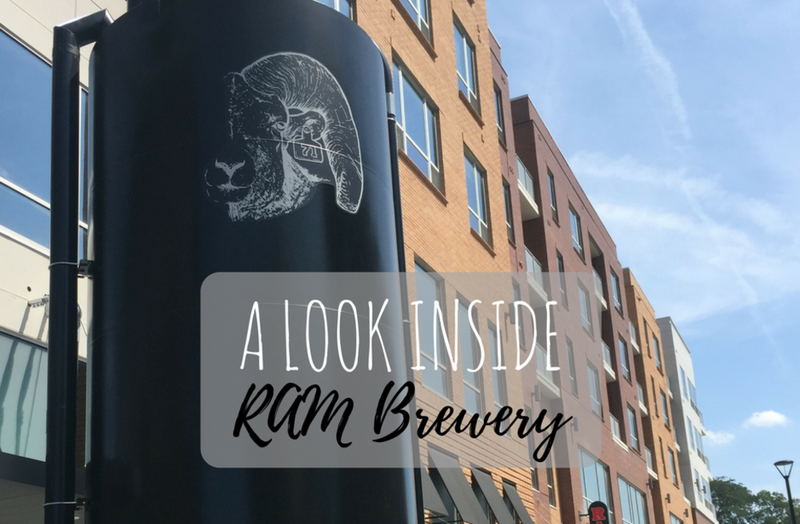 Whether you are a seasoned and adventurous beer drinker with a pallet for stouts and porters or are just dipping your toe into the craft brew world, you will find something to love at RAM. Each brew style is true to its roots, but easy to drink, so that any palate can enjoy. Servers are more than willing to help you find something that suits your taste and onsite brewers are eager to give you an inside look at how your favorite beverage is made. 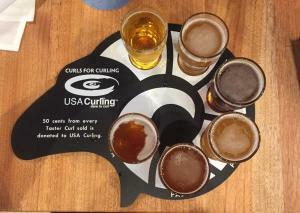 The beer flights are a good way to find out what you like or sample them all! Although RAM has more than 20 locations all over the country, they have done a great job of making their Dublin location look and feel like home. 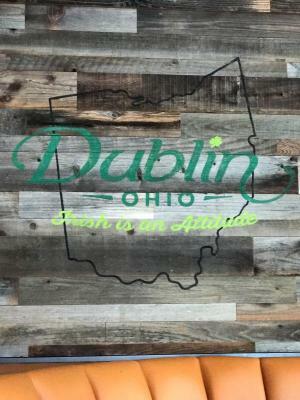 The Dublin Convention and Visitors bureau is proud to have our logo on the wall at this location! You will notice menu items that pay homage to Dublin as well. 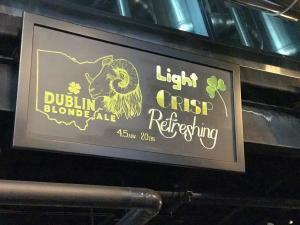 Lighter beer drinkers will love the Dublin Blonde beer and those looking for an Irish inspired brew will love the Big Red. 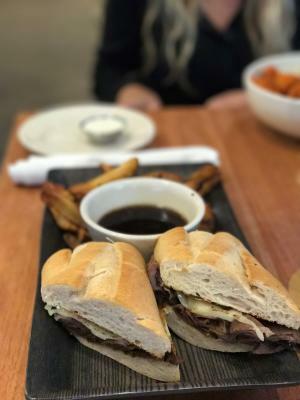 With menu items like the Dublin Dunker, it is easy to tell that RAM has truly embraced the Dublin community. Appetizers and shareables like Fresh Guacamole and Crab and Artichoke Dip are perfect for happy hour with friends. Visiting RAM for a meal? You will love their wide variety of burger and sandwich options like the Big Porter Blue Burger and the RAM Grand Reuben. 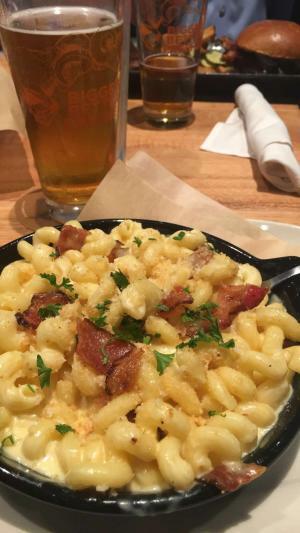 Try your hand at creating your own mac & cheese with your choice of 9 toppings! Trust us, you really can&apos;t go wrong. If you’re looking for something a bit lighter, but filling, try one of their salads. 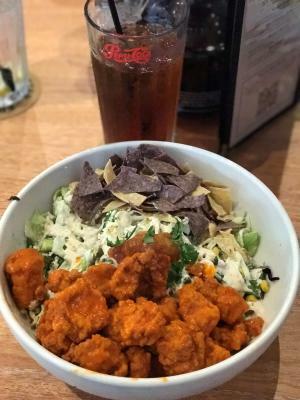 We recommend the Kale & Quinoa or the Southwest Zesty Chicken Salad. Click here to view the full menu. Dublin is home to many awesome patios, for those beautiful Dublin days when you want to dine outdoors. RAM has one of our favorites. With bar to ceiling windows behind the bar that open up to the patio, you can enjoy a cold beverage at the bar indoors or outdoors. RAM has Monday through Friday happy hour from 3pm to 6pm with $3.75 drinks including their flagship beers and house wines. 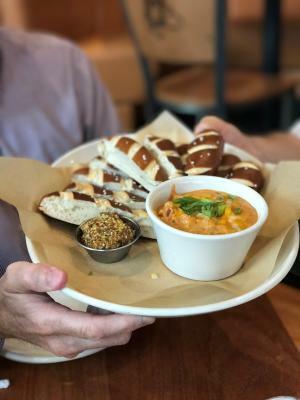 Favorite appetizers like the Pretzels & Beer Cheese Fondue and the Ahi Poke Nachos are even available for a special price during happy hour. 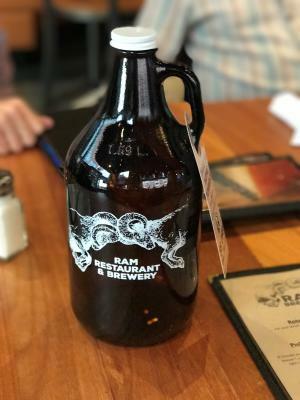 Keep an eye out for their daily specials like Jameson Irish Whiskey on Sundays or $5 growler fills on Fridays and Saturdays. For more information and deals on Dublin dining, click here.